The last time you wondered How can I get a limo service in Miami? or Where to find a limo rental in Miami? you must have noticed that Driven Miami is the first pop you get. Why? Because our team covers virtually all destination across Florida and does it wonderfully! Driven Miami is a fully licensed and insured chauffeur company near my location, with a wonderful fleet of modern vehicles that caters to a diverse range of clients’ needs, at budget-friendly rates. If you are an Android or iOS user, you can contact us using Voice Search option and the “limo near me” command. Why Book a Limo in Miami? To enjoy this fabulous city the way you should – in total allure! First-rate customized black car services are what you can expect from us each and every time. The level of black car service nearby Driven Miami joyously provides and the attention to detail is what makes us stand out from the others. Contact our fantastic customer service, our experts will gladly arrange any kind of deluxe transfer you need at the moment. Book a limo and enjoy the utmost comfort during your journey. When voice searching questions like Can I book a driver service near Miami Airport (MIA), Fort Lauderdale (FLL) and West Palm Beach Airport (PBI), or any other airport in the vicinity, make sure you book your ride with Driven Miami. Your chauffeur near me will be waiting for you at the airport when you arrive. Our team uses real-time flight tracking so that all airport pickups could be done exactly when you land, no matter your potential delay or its early arrival to the airport. Schedule your transfer in advance and have your rides professionally handled with the team of Driven Miami professionals. You will reach your destination in comfort and style, and most importantly on time – every time. No matter if you have a pool party to attend, a game to catch, a business meeting on your agenda, or if you simply want to shop the day away with an elegant twist, come on board with Driven Miami and experience the best, nearest limo service in Miami. Give our Miami limo service near you a shot. With us, every single ride can (and will) be adjusted to suit your needs perfectly. Our team will get you where you need to go, in style! How can I get a Miami airport car service to MIA, FLL, and PBI airports? Simple! Book with us! 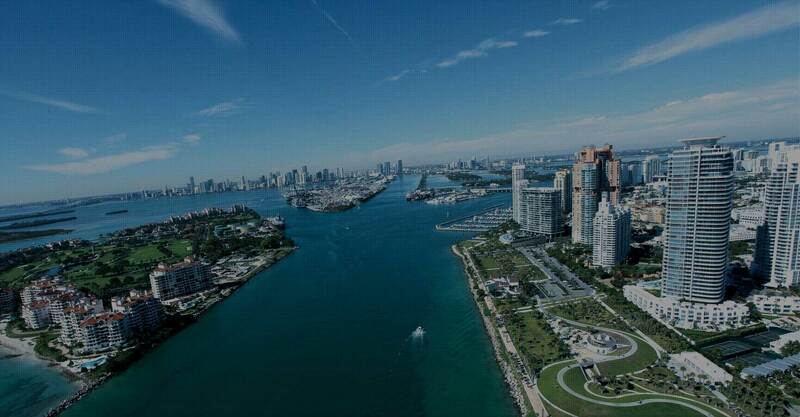 You’ll also get a ride to Port Everglades, Miami, and Palm Beach seaports. Luxurious and flexible town car transfer close to you is what Driven By the Hour limo service Miami is all about. Check it out, book a ride now and let’s get rolling! Your corporate outings don’t have to be a synonym for stress! Let us take the wheel during your key business events and meetings, with the nearest limousine service Miami. Experience a deluxe door to door car service near Miami every time you travel with the finest livery option in South Florida and beyond! Just say where to and let your hair down. Our prestigious, late model fleet is comprised of luxury sedans and spacious SUVs. For the most enjoyable ride, try our Mercedes S550. Our vehicles have 3 to 6 passengers capacity, as well as plentiful space for their luggage. All cars are impeccably maintained and provide the highest level of comfort. Schedule a pick-up and our driven team will give you a chance to relax on your way to the desired destination. It’s a Driven Miami guarantee. Please fill out the adjacent fields and a member of our team will respond quickly. Have no doubt about it!